To mark the International Women’s Day, Palli Karma-Sahayak Foundation (PKSF) organized a seminar on 27 March 2018. This year the theme was “Time is Now: Rural and Urban activities Transforming Women’s lives. The seminar was presided over by Dr. Qazi Kholiquzzaman Ahmad, Chairman, PKSF, and Advocate Tarana Halim, MP, State Minister, Ministry of Information, as the chief guest. Mr. Md. Zillar Rahman, Secretary of Social Welfare Ministry, was the Guest of Honor and Litterateur Ms. Selina Hossain was present as special guest. PKSF Chairman Dr. Qazi Kholiquzzaman Ahmad said social, economic and educational development of women is essential for the implementation of Sustainable Development Goals (SDGs). He expressed the view that ensuring the equal opportunities and establishing human dignity for all will enhance the pathway of women towards prosperity. 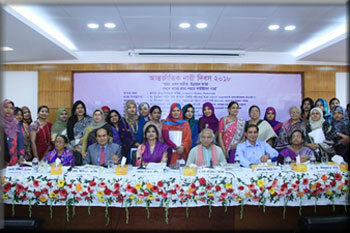 State Minister for Information Advocate Tarana Halim said that elimination of discrimination against women can be achieved by changing the mindset of people of all walks of society. The current government is a women-friendly Government and due to this, Women are marching ahead in all spheres today. She emphasized on ensuring women’s political development alongside their economic development to ensure women’s empowerment. Secretary of the Social Welfare Ministry Mr. Md. 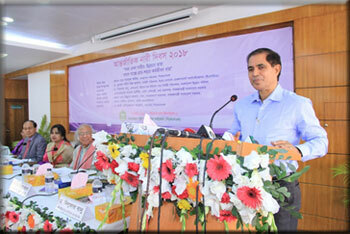 Zillar Rahman spoke about the initiatives taken by his ministry. The purview of social safety net has already been expanded and further expansion is underway with priority on women, he said. Speaking on the occasion, renowned litterateur Ms Selina Hossain expressed her hope that the society will advance through equality of male and female. She emphasized on the need for creating equal opportunities for everyone by removing gender discrimination in society. Mr. Md. Abdul Karim, Managing Director of PKSF delivered welcome speech at the seminar. He mentioned about the initiatives taken by the government to pave way for women’s development. At the same time, he highlighted the initiatives taken by PKSF for the empowerment of women at the grassroots. 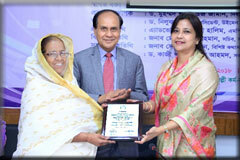 In recognition of her contribution in the field of socio-economic development for women, the PKSF honored Ms. Begum Rokeya, Executive Director of Swabalambi Unnayan Samiti. Muhammad Shahid Uz Zaman, Executive Director, Eco-Social Development Organization (ESDO) presented the keynote paper at the seminar. 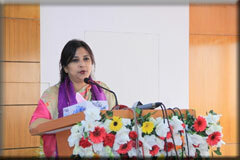 Ms. Nilufar Banu, Executive Director, Bangladesh Unnayan Parisad, also spoke at the seminar.